Food Safety Net Services was the featured allied supplier on the 29 th January edition of USPOULTRY Wire. FSNS is a leading provider of food safety technology and assays to the food and livestock industries of the U.S. emphasizing accuracy and rapid turnaround. 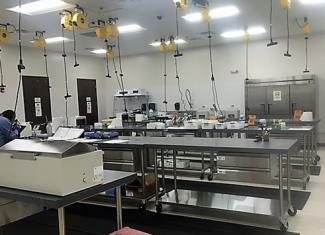 The company operates a network of ISO-accredited laboratories offering microbiological and chemical testing services in addition to advice on quality-control in food production. FSNS laboratories operate 24/7, staffed with trained and experienced food experts. Further information can be obtained by clicking onto the FSNS logo on the right side of the Welcome page.